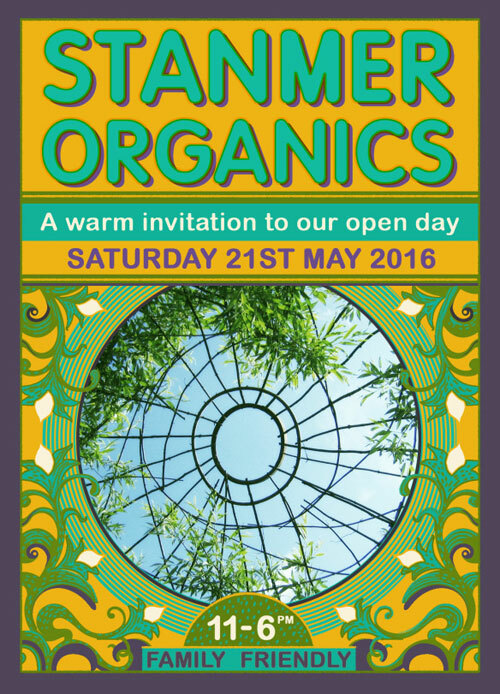 Stanmer Organics Open Day is Saturday 21st May 2016 from 11am to 6pm. Join us and other projects from the Stanmer Organics Co-op for Spring Open Day. -:- Stephan and some of our team will be at our -:- plot for the event giving tours and organising games for kids. There will be food and drink available on site (including a cafe running from -:- Earthship Brighton), and you can visit the various projects, including Fork and Dig It, Physic Garden, Organic Art, Sussex Wildlife Trust, Centre for Ecotherapy, Wyld Service and more. Lots to see and do for all ages: pond dipping, a chainsaw carving display, talks, story telling, badge making, make your own pizza, leaf beating, chickens, kids trapeze workshops, and herbal medicine tasting, too.